I'll be visiting The Morning Blend studio Friday morning to share how to take saving money to a whole new level by utilizing money saving apps available for use on your smart phone. I would love to welcome The Morning Blend Viewers to my website! Here is the information from the show. 1. Saving money on gasoline. GasBuddy is one of the programs that I use the most on my phone. Nothing is worse than filling up your car with gas and 2 blocks later seeing that the price is 8 cents cheaper at that station. Now you can click on the GasBuddy app. It uses a GPS signal and tells you how much gas costs at all the stations in your proximity. We use this not only around Tucson, but whenever we travel to find the lowest prices on fuel. 2. Saving Money on Groceries. There are two apps that I like that list the grocery sale prices for all the stores in the Tucson area. Grocery Pal and Grocery Smarts list the deals by store. They show the current sales prices but not the coupon deals. It's great for when you just need milk or eggs on your way home. You can also price match the sales prices at Walmart without having the ad in hand. You save so much money with store loyalty cards. 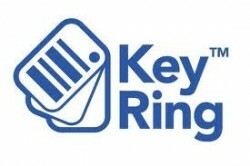 There is a Key Ring app that allows you to scan in all your store loyalty cards, so you don't have to carry all the cards with you everywhere. They can just scan it off your phone when you go to check out. 3. Saving Money at Restaurants. There is an app called Dining Deals that lists deals and coupons available for major restaurants. You can email the coupons to yourself, so that you can print them to take with you to the restaurant to use. The only negative part of this app is that every time you launch it, they list three sign up ads. Just click No Thanks and it takes you to the list of available deals. For people with children, there is an app called Kids Meal Deals. It locates where you are and tells you all the restaurants around your location that are offering FREE kids meals. We used this app when we went to San Diego and saved a ton. 4. Saving Money Locally in Tucson on Services, Restaurants, and Stores. There is an app called Couptap that has mobile coupons available for just Tucson and 2 other cities in Alabama. More cities are coming soon. When you download the app and open it, select Tucson as your city of choice. They have coupons that can be redeemed directly from your phone. The coupons are for everything from local restaurants to auto shopt to Dentists and Beauty Salons. They currently have 50 great coupons for businesses in our area. Last month I shared ways to save while shopping online by using coupon codes at checkout. You can find the information here. There are apps such as Coupon Cloud and GeoQpons which not only list coupon codes available but printable coupons that you can email to yourself from your phone that you can print to take with you to the store. I love that GeoQpons alphabetically lists stores making it easy to find your favorites. You can select local deals as well with the GeoQpons app to find what promotions your local stores are running as well. 6. Saving Money With Freebies. My good friend, Kate Walker, shared this great app, Freebies2deals, with me. It's the direct feed from the website which you can check out here. She offers great giveaways along with screaming deals and discounts that you can use at places that you shop. 7. Save Money With Daily Deals. There are websites that offer different deals daily for 50% off or more to restaurants, local businesses and more. 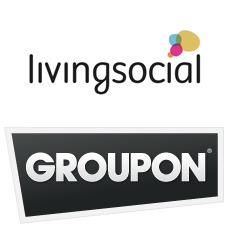 Groupon and Living Social have apps where you can purchase the deals on your phone. Some businesses equipped to do so will even let you pull up the certificate to use off your phone. I always print a copy at home before I go, because we have gone to use a certificate and the business asked for a print copy. It's better to be safe. I hope some day that KGUN9 will offer an app for Buddy's Deals. 8. Save Money Comparing Prices. Download the Barcode Scanner app to check competitor prices while shopping. This app allows you to scan the barcode and use Google Shopper to compare prices online to assure that you are getting the best deal. 9. Save Money With Slick Deals. One of my favorite money saving websites is slickdeals. Slickdeals now offers an app that puts all their moneysaving deals at your fingertip on your smart phone. We use slickdeals to find the best deals on electronics and computer equipment, but deals for pretty much anything you can imagine can be found there. 10. Save Money with Best Deals. The Best Deals app compiles all the daily deals online, placing them in categories and ranking by popularity. You can even find the daily local deals all in one place. I found this article very interesting and up to date. If you want more details about Daily Deals online , Visit us Now!